- Those who require a gluten-free diet or those who are curious about what gluten-free desserts might taste like can head to Good Seed Baking Company during today’s State College First Friday event. The gluten-free bakery will be offering free doughnuts today until 9:00 p.m., or until they run out. - After you grab your free doughnut, head on our to the Mount Nittany Vineyard this evening from 6:00-8:00 to enjoy jazzman Jay Vonada’s cool sounds while munching on flavorful appetizers paired with Mount Nittany’s wines. It’s $30 per person, and reservations are required and can be made by calling 466-6373. - Celebrate the return of fall (or at least September) at Spat’s Cafe with Caramel Apple Moonshine, a new drink made from apples from J.L. Farm & Cidery. Enjoy this great beverage with a delicious burger made with local beef from Bergenblick Beef. 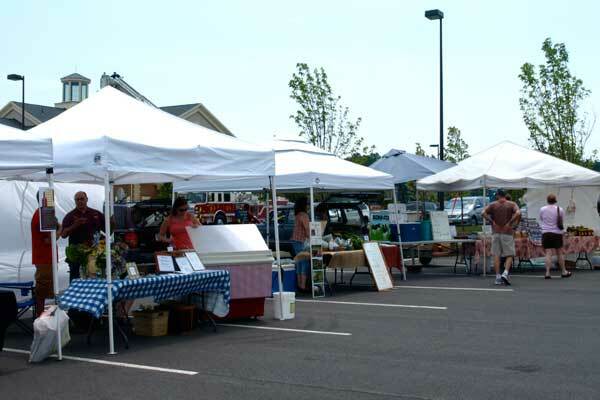 - Prep for your Labor Day cookout at one of the local farmers markets that are open on Saturday. There’s the Bellefonte Farmers Market, the North Atherton Farmers Market, and Millheim Farmers Market. All feature a variety of fresh produce (lots still in season), fresh local meats, and delicious products like hot sauce, salsas, condiments, etc.